Ted Demopoulos has been a member since February 14th 2014, and has created 46 posts from scratch. The Bald Carabiner is a delicious Tiki Style drink, preferably prepared by a bald man in the Dry Tortugas, about 67 miles west of Key West. Tiki is an entirely American “Art Form” essentially created by Don The Beachcomber and Trader Vic in the 1930s, claiming to have Polynesian roots although the connection is very tenuous. Tiki is American. Popular historic Tiki Drinks are The Mai Tai (much more than more fruit juices and rum! ), The Scorpion Bowl, The Zombie and many others. Tiki drinks, when done right, feature fresh fruit juices, often flavored syrups, and ornate garnishes such as umbrellas, orchids, & chunks of pineapple and cherries. The Bald Caribiner is a more modern Tiki Drink first served to me in the presence of an albatross by a bald bartender in the Dry Tortugas (I’m lying, but doing so quite colorfully). Served up with garnish of your choice’ I like a cherry. Ideally enjoy in the presence of an albatross. A pelican will do in a pinch. A pigeon is OK too. Just ideally do not drink alone. (*) Cherry Herring is a wonderful cherry brandy. You could substitute a different cherry brandy if necessary. (*) Orange Curacao, widely available, is ideal, but you could substitute a different orange liqueur such as Cointreau or Grand Marnier. After extensive experimentation, I clearly prefer and suggest Orange Curacao! Being a Rock Star has nothing to do with how or why you got into Infosec (or sushi or whatever). It doesn’t matter. Perhaps you were fascinated at an early age, maybe you needed a job, or very likely for many, this is where the opportunities and money were. Jiro Ono is an 85 year old Michelin three-star sushi chef (Michelin three-star basically means “mind blowing”). 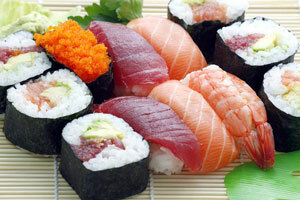 He may be best known because of the documentary Jiro Dreams of Sushi. It doesn’t matter how or why Jiro Ono got into sushi. It does matter that he is fantastic, that he rocks. What matters is what happens after you’ve arrived. Do you have passion? Even a little bit? Have you fallen in love with your work? He has a small 10 seat restaurant that serves only sushi, nothing else. No appetizers, desserts, etc. He has dedicated his life to sushi and he is enormously happy. He may be the greatest sushi chef ever. Even if you are damned good you can’t compete with someone who is damn good and passionate. Rock stars are passionate. They are in love with what they do. Even if you are damned good you can’t compete with someone who is damn good and passionate. You may have difficulty competing with someone who is merely good yet passionate. If you are not passionate, you simply cannot be a Rock Star. You must fall in Love with your work. Jiro did not remotely find instant success. He also did not go on a “Journey of self discovery to The Himalayas” or any similar nonsense. Jiro did not need to find himself. He created himself. Of course no one is passionate about every aspect of their job; that would be silly. Don’t set too high a bar! I’m passionate about what I do, but that last cancelled flight home less than 48 hours ago sucked and expense reports are drudgery! Too many people do have unrealistic expectations of what passion actually is, but its importance cannot be understated! The world will have its ups and downs, and they can be significant. Have you created a career (and life) that you love? Have you fallen in love with your work? That will sustain you. The curious Corpse Reviver #2 has become the house cocktail lately at my place, which means I offer one to guests and probably make a couple a week for myself otherwise. It’s quite a delicious and interesting combo. I first encountered it, knowing it previously by name only, after dining at the wonderful Rendezvous in Central Square, Cambridge, Massachusetts with The Boston Socialite. A sudden horrific downpour occurred immediately after we had paid our bill and we were walking towards the exit. Being rather intelligent, we sat down at the bar. I cannot remember what The Socialite drank, however I simply told the skilled Mixologist to make me something “interesting and fun.” He asked me a few questions on taste, and then produced a Corpse Reviver #2, to my obvious delight upon first sip. ¾ part Gin – I usually use regular Bombay or Tanqueray. You do not need an overly complex or flowery gin with all the other ingredients, but feel free to experiment. ¾ part Lillet Blanc, a widely available French aperitif wine similar to Vermouth in style but not in taste. You can also use it to make a James Bond Vesper, enjoy it on the rocks, or even make a Lillet and Tonic with it. Add to ingredients to a shaker with ice, and shake. According to Wikipedia, the Corpse Reviver family of cocktails are intended as “hangover cures” but I can’t comment on that. I believe a hangover is a sign that one needed less alcohol in the past, not more in the future, but I do not claim to be an expert at this. I just like tasty beverages in some semblance of moderation of course! 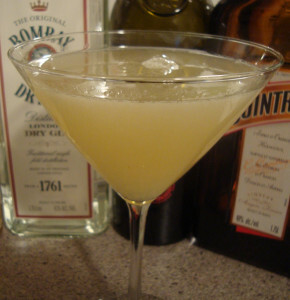 Most variants of the Corpse Reviver have been lost to history.. 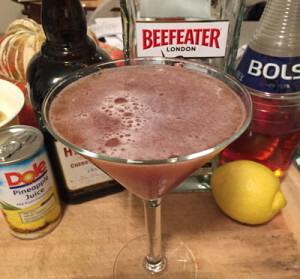 The earliest known Corpse Reviver recipe is from The Steward’s Handbook and Guide to Party Catering in 1903 and is much different, and includes 2 egg yolks, hot Burgundy and honey. The Savoy Cocktail Handbook (1930) by famous bartender Harry Craddock lists the Corpse Reviver #1 and #2. And no, I’ve never tried a Corpse Reviver #1. Perhaps I should add that to my “Bucket List” along with manage a rock band, see the Great Barrier Reef, and ride a camel around the Pyramids. Oh wait, I’ve already done those . . . but I’ve never cooked a perfect Pork Chop, danced the Tango, or surfed a 10 foot wave! Email will consume all your time and life if you let it — so don’t let it. Rock Stars Don’t Do Email All Day Long! Here are a few ideas to help tame email so you can spend time on more productive tasks – email is rarely the most important thing for you to concentrate on! Always place time limits on email. For example, you may choose to read email from ten to ten thirty, four to four thirty, and then a quick check after dinner. 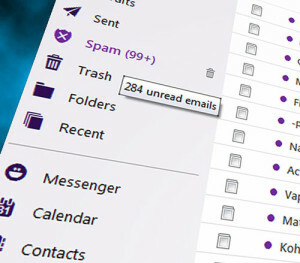 If you read email constantly, you’ll get very little done except for reading email! I ignore all spam and semi-spam. Even somewhat legit email will usually get ignored by me if I don’t know the sender and they couldn’t be bothered with visiting my site to figure out my name. Then again, I get several emails from people I’ve never met who have read my books or read my blogs. I do try to respond, although sometimes briefly. Sometimes people are actually amazed when I respond! For example a one line question should not elicit a five page answer; the medium is not designed for exchanges of that sort. I often send one and two word responses, such as “excellent” and “yes” as appropriate. Now if you’re procrastinating anyways, it’s OK to read email as it comes in, as well as to respond with long soliloquies if you’d like. His non-boxing (or non-geek if you prefer) skills were greatly responsible for his enormous success. Muhammad Ali is certainly one of the greatest boxers to live, both in the ring and out of the ring. He was well known for “trash talking” his opponents and perhaps demoralizing them, angering them, or giving them false confidence before his fights; whatever it did, it worked. He won ALL his bouts in the 1960, every single one! He was a Golden Gloves champion starting in 1959 and an Olympic Gold Medalist. Muhammad had enormous geek, his technical boxing skills, PLUS a lot more! He had his “technical geek” down – his boxing skills. Geek is essential, but will only get you so far . . .
Notice he simply declared “I am The Greatest!” – No one gave him permission; he just claimed it! He is an incredibly colorful character, which enormously helped his boxing career, and a man of deep principal, which enormously hurt his boxing career. He missed 3 ½ years of his prime career because of deep held convictions. He is an awesome dude. He is perhaps best known for claiming “I am The Greatest,” along with his fights against Sonny Liston, George Foreman, and Joe Frazier. Was he “The Greatest” and did it matter? Of course he’s been asked, and now, in retirement, he just laughs and says how could you tell? Was he better or worse than some of the greatest who preceded him, for example by boxing legends Jack Dempsey, Sugar Ray Robinson, Joe Louis and Rocky Marciano from the late 1800s and early 1900s? There is obviously no answer. As Muhammad explains, how could you ever tell and what does it matter? However, once he started claiming “I am The Greatest!” the boxing arenas started filling up. Some came to see him win, some came to see him lose, but it didn’t matter, the arenas filled up! 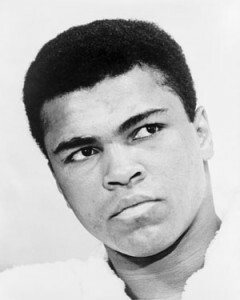 Muhammad Ali is a Rock Star both because of his Geek (boxing) and his non-Geek (promotional and other) skills. I’m sure he was initially greatly pushing his comfort zone by making brash claims and his self promotional tactics! And they worked! Muhammad Ali believes in hard work and he wants to inspire people “to be the best” they can be. Yup, Muhammad Ali is one inspirational dude we can learn a lot from him. And his Rock Star activities continue post retirement from boxing . . .